Being very sensitive to Earth’s vibrations, our dizziness today has been off the hook, so we took a picture of the Sun to find out. 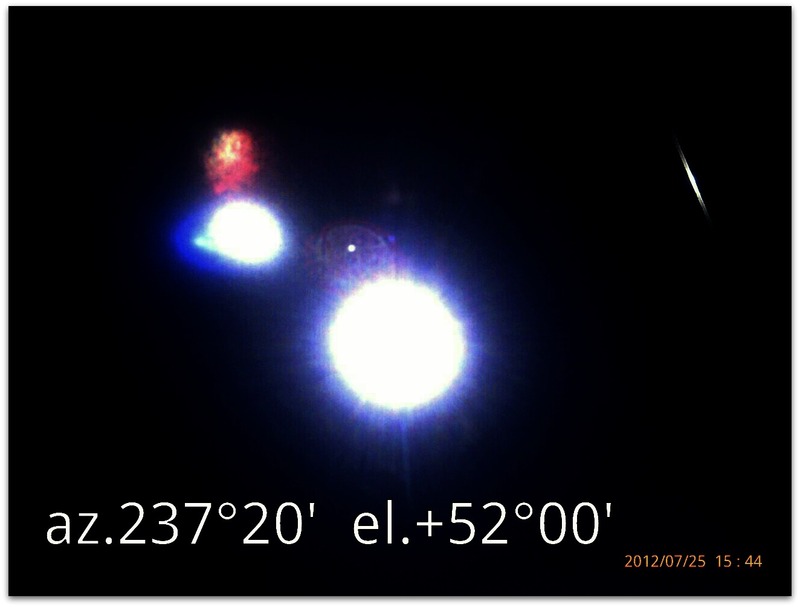 Sure enough, there is another “sun”, this time bluish, to the left of the true Sun, as the herein picture shows. 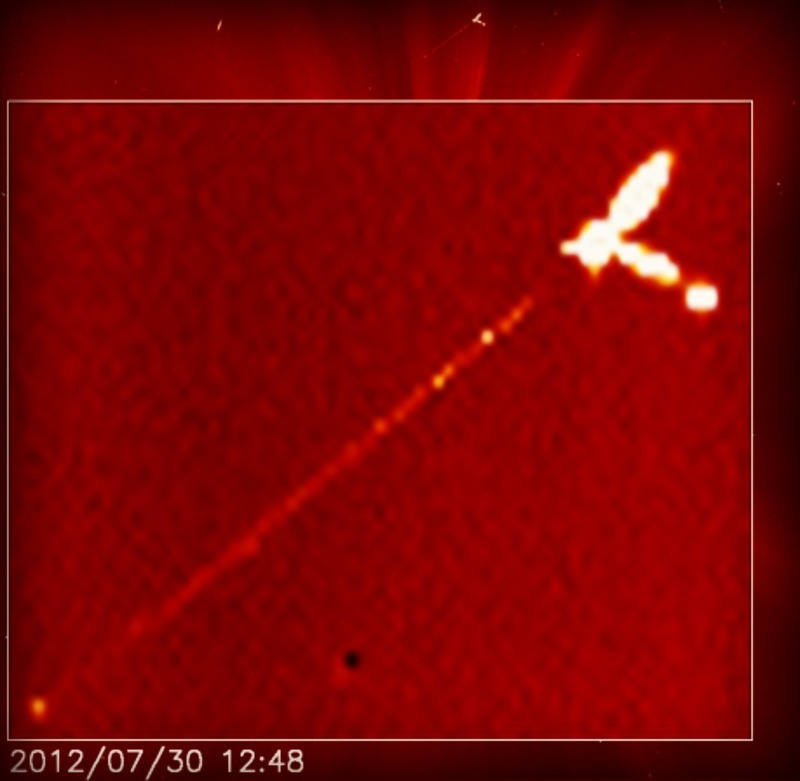 Corollarily, Alberto of Italy captured the Sun, July 25, 2012, as shown hereunder. As the picture shows, the formations to the left of Sol is mind-boggling to say the least. It is almost a given, therefore, that we humans will be in for a very rough ride. Please be alert, be open to the signals from your environment. Because in Buddhist parlance, you and the environment are ONE. The Moon is one-sixth (1/6) as dense as the Earth, yet its gravitational pull causes our seas to ebb and flow. Imagine a body five times the size of Earth, with 12 moons to boot, passing overhead. So a CAVEAT for all of us, indeed. 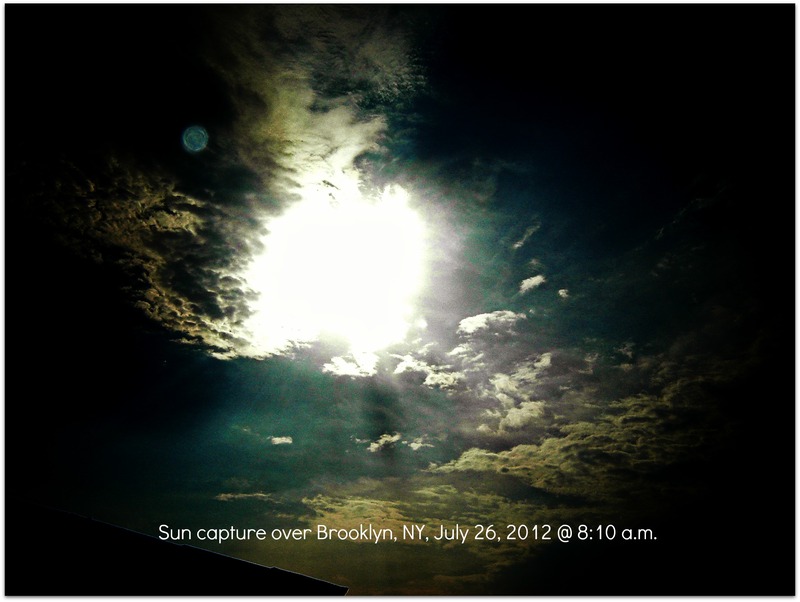 Meanwhile, Animatio, a friend from Germany, has sent in a capture of the sunset there, July 27, 2012. 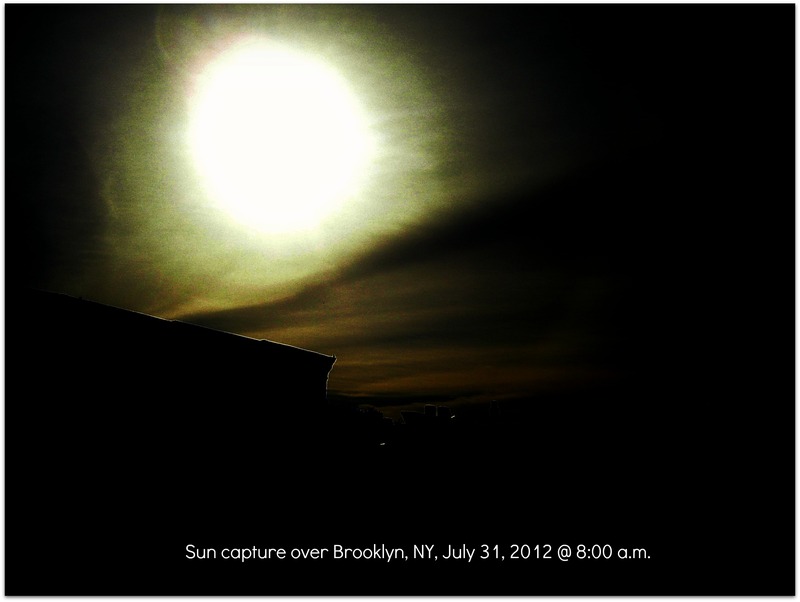 Also from Animatio, a sunset capture, with red filter, July 29, 2012 in Germany. And the latest SOHO satellite image.